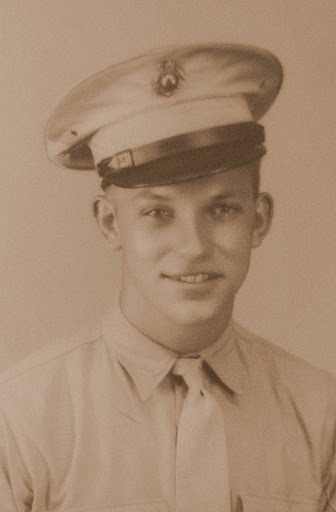 Lawrence Houle joined the Marine Corps in 1943 after graduating from high school in Grosvenordale, Conn. He first served with the 4th Marine Division during the invasion of the Marshal Islands. It was Houle’s job to haul the ammo and equipment from his LST (Landing Ship Tank) ashore shore. His unit only lost a handful of Marines during the invasion when a Japanese plane attacked their ammo dump and blew it up. “A friend of mine from my hometown was killed during that explosion. At the time he was a sergeant in the Corps,” Houle recalled. His unit also took part in the invasion of Enewitok, a large enemy held island a short distance from their initial invasion beach. “Our regiment was sent to Enewitok to help the Army subdue the Japs. We completed the job in a couple of days without many losses,” Houle said. Eventually his division returned to the Hawaiian Islands to begin training for the invasion of Iwo Jima. For the next six months the 4th Marine Division and several other divisions would train for the historic invasion of the eight-square mile volcanic island. “Just before the invasion I ended up in the Naval Hospital in Pearl and was scheduled to have a minor operation. The surgery kept me off Iwo Jima during the battle,” Houle recalled with a smile more than 65 years later. Before the Marines took Iwo Jima away from the Japanese after 36 days of hard fighting, 6,800 members of the Corps were killed and another12,000 wounded. The Japanese lost almost all of their 21,000 defenders to American invasion forces. Houle’s next mission was the invasion of the Japanese home islands near the end of the war. By then he had been transferred to the 5th Marine Division. His division was suppose to capture Sasebo, Japan on the southernmost Japanese island. “On the way to Japan we hit a typhoon. A tidal wave 50 to 75 feet high washed over our LST, but fortunately didn’t sink us,” he said. “In our part of the fleet only two men were lost at sea because of the typhoon. “We were still headed for Sasebo when we got word the Americans had dropped an Atomic Bomb on Hiroshima. A day for two later we dropped another Atomic bomb on Nagasaki,” Houle said. After the second bomb the Japanese unconditionally surrendered to Allied Forces. It wasn’t long after that he returned to the States and was discharged from the Marine Corps. “I got back to the States on Christmas Eve 1945. We came into San Diego and I took a slow train across country to Connecticut,” Houle said. 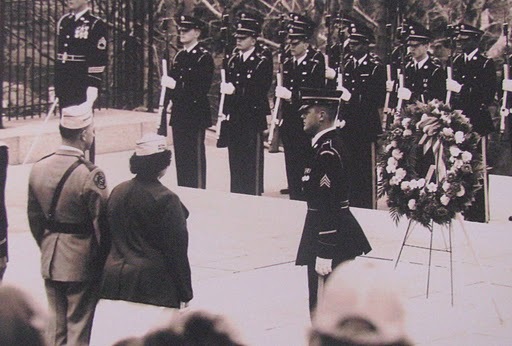 “I went to work as a nurse’s aide at the VA Hospital in Providence, R.I. for about four years. Eventually he changed jobs and started working for the post office in Bridgeport, Conn. 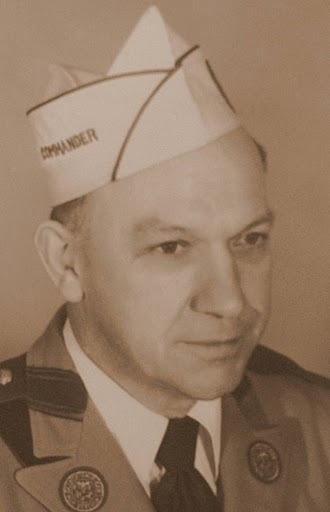 It was during this period Houle became the National Commander of the Franco-American War Vets of WW II. 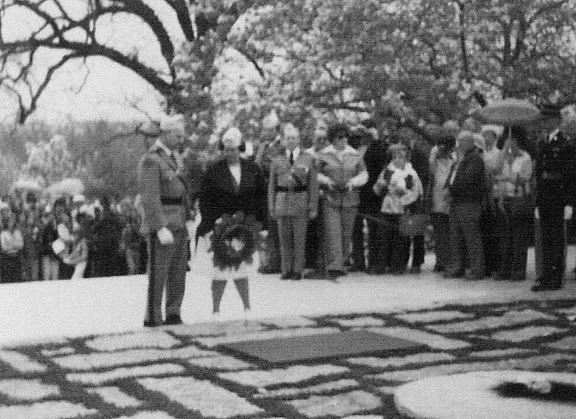 “I made a trip to Washington as national commander to lay a wreath at the “Tomb of the Unknowns’ and President John Kennedy’s grave,” he said. He was also instrumental in helping the Bridgeport area get a VA nursing home and a National VA Cemetery. 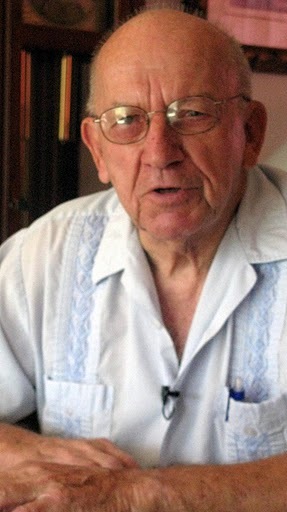 He and his first wife moved to the Port Charlotte area in 1980. Ten years ago, after her death, he married Patricia. Houle has two sons, Larry and Michael, from his first marriage. This story was first printed in the Charlotte Sun newspaper, Port Charlotte, Florida on Monday, Oct. 10, 2011. It is republished with permission.